16y 197d - Jeff Hendrick is the first Irish player to score for the national side under Mick McCarthy since Clinton Morrison netted against Russia in September 2002, 16 years and 197 days ago. Longevity. - Ireland have now won each of their three meetings with Gibraltar by an aggregate score of 12-0, with all three coming in European Championship qualifiers. - Hendrick's strike ended a drought of 446 minutes without a goal in all competitions for Ireland, since Aiden O'Brien scored against Poland in September 2018. 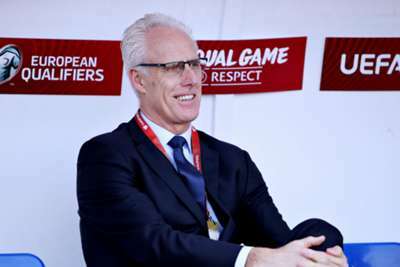 - McCarthy has now won his first competitive match in charge of Ireland in both of his spells with the national side, having beaten Liechtenstein 5-0 in the opening match of his first stint in August 1996. - Hendrick became the first Irish player to score for the national side under McCarthy since Clinton Morrison netted against Russia in September 2002, 16 years and 197 days ago.